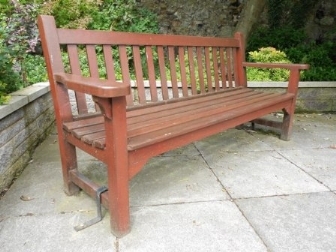 The Town Council took on responsibility for 300 public seats and benches from 1 April 2012. Previously they were looked after by the County Council. Under a Service Level Agreement, officers from the County Council will still assist in urgent removals or repairs where a seat is badly damaged or dangerous. The Council recognises there is a great deal of work to be done to bring many of the seats up to a reasonable standard. A record of every seat is now held on computer, together with a photograph, and plans are being made for a phased refurbishment. If anyone sees a seat which they feel is in a very poor condition, please contact admin@berwick-tc.gov.uk, or telephone 01289 302391. Please also call this number if you would like to adopt a bench, or offer to maintain one or more; some are being looked after by residents associations, others have been adopted by individuals who will paint or stain them and generally care for them. The Town Council will be happy to supply the necessary materials. Plans include replacing a number of benches with newer models, and as a first step fourteen new seats have been placed in Marygate.